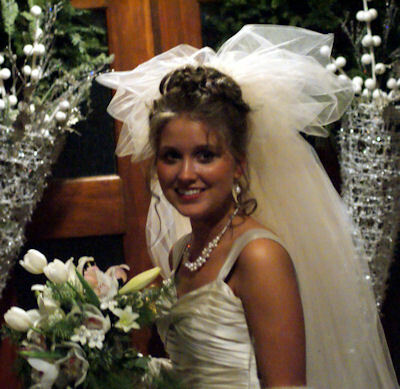 Beautiful is a word inadequate to describe this Bride. Saturday afternoon was the wedding of a young woman I have watched grow for more than fifteen years. I will always remember how she as a child could handle a spirited horse with a natural confidence that made you stop and take notice of her. When I first met the three of them, they almost didn't look real. It was that Norman Rockwell thing again, in that he would have used them in a minute for one of his paintings. Perfect, natural smiles were the very least of their gifts. Katie, along with her sister Lindsey, and brother Ryan, shine brightly in the way they have all grown into capable confident young adults. Their parents Gary and Gail have to both be very proud. At Katie's wedding to Jonathan Ludens in Burlington Iowa, everyone who attended could not help but be affected by a ceremony and reception that would have been every brides dream come true. The church, the pastor, the packed sanctuary, the music, wedding party and the ceremony were all a perfect picture of a great beginning that went without a hitch. 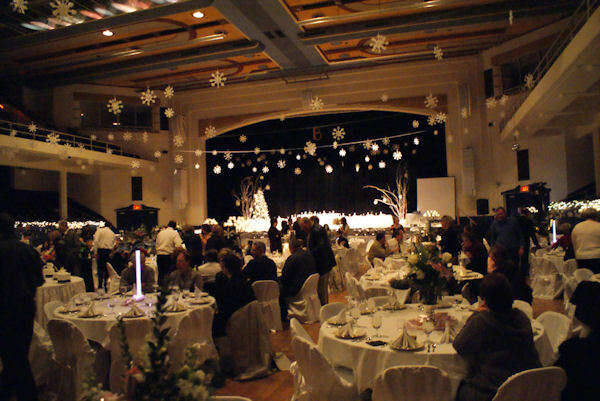 When you walked into the Burlington Civic Center, you discovered the kind of reception that was on a par with the very best that might be found anywhere. A lot of people had to work hard to have the kind of success this wedding was. I won't go on about the details other than to say what a great beginning for this new family. As a team, Jonathan and Katherine will be a positive addition to the Heartland Community. Congratulations to us all, family, friends, and community, this new couple is the result of home ground nourishment, both physical and spiritual. My bet is on us all winning by this union of treasure in the heartland.